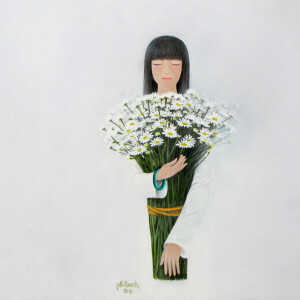 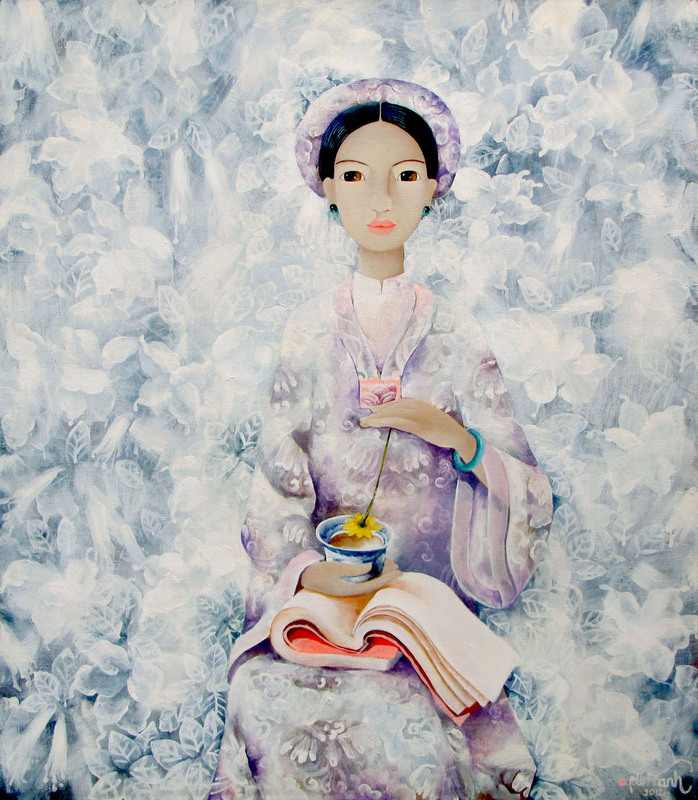 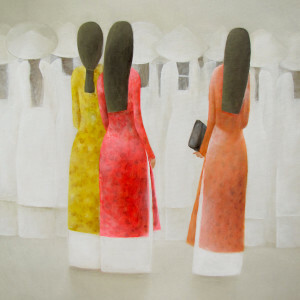 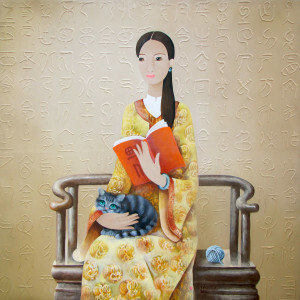 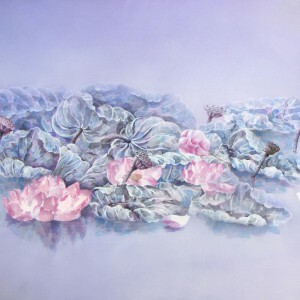 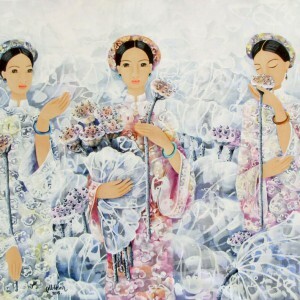 Artworks of this Asian artist Phan Linh Bao Hanh grabs the attention with amazing lightness of the painting manner. 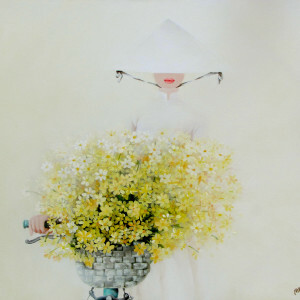 The featured piece demonstrates this in the best possible way. 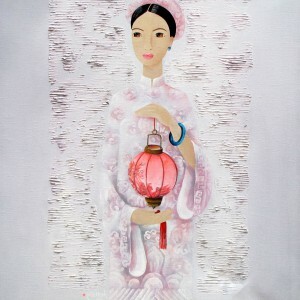 He shows lots leafs as transparent as lace banding into an alluring semi-abstract composition.